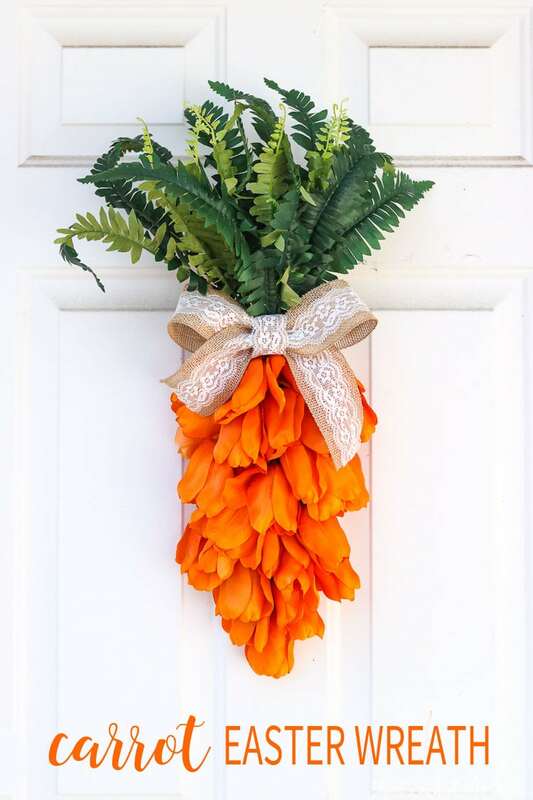 A few dollar store materials and a beautiful Halloween wreath is the result! 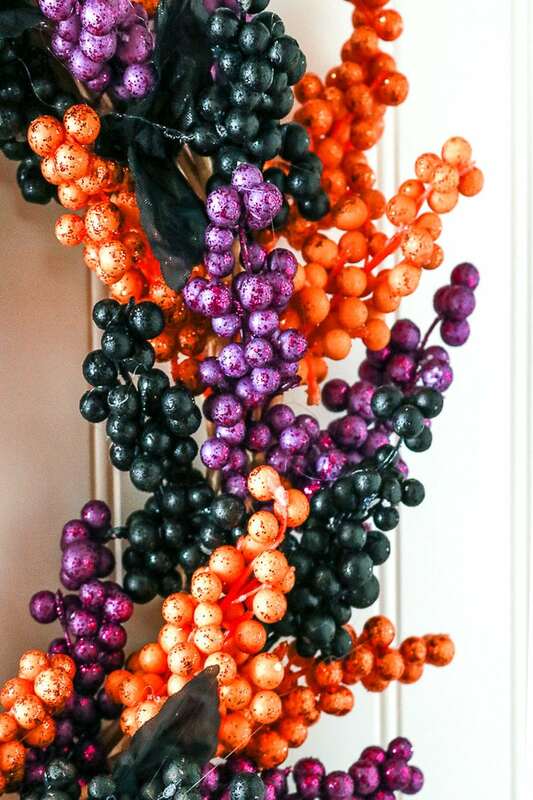 A simple but elegant Berry Halloween Wreath made from supplies from the Dollar Store! 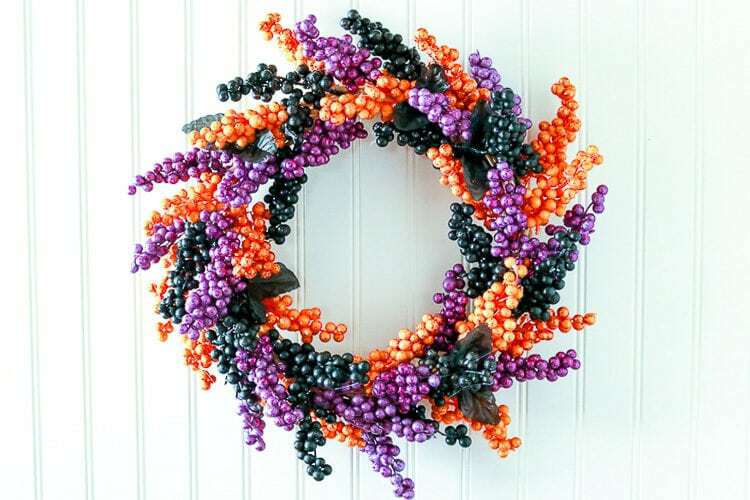 Add Halloween fun to your front door or mantel using black, orange and purple berry sprigs, a wreath form and some hot glue! 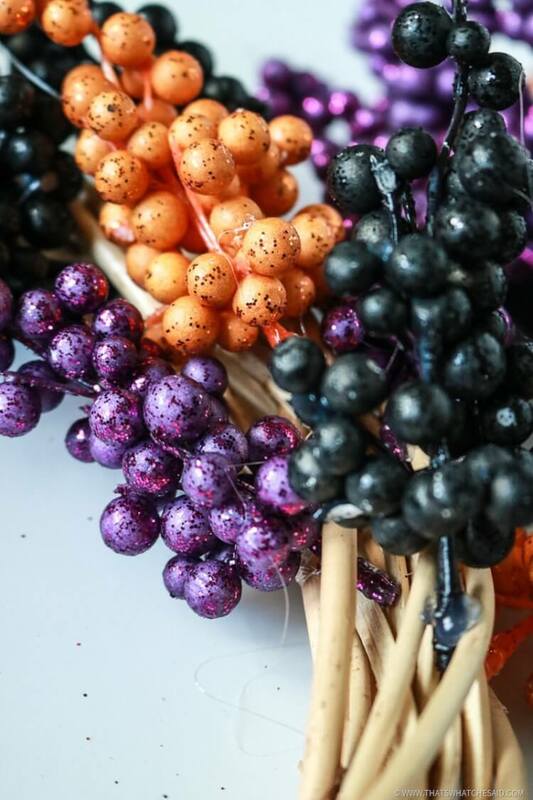 You didn’t think I would leave Halloween out of my berry wreath addiction, did you? 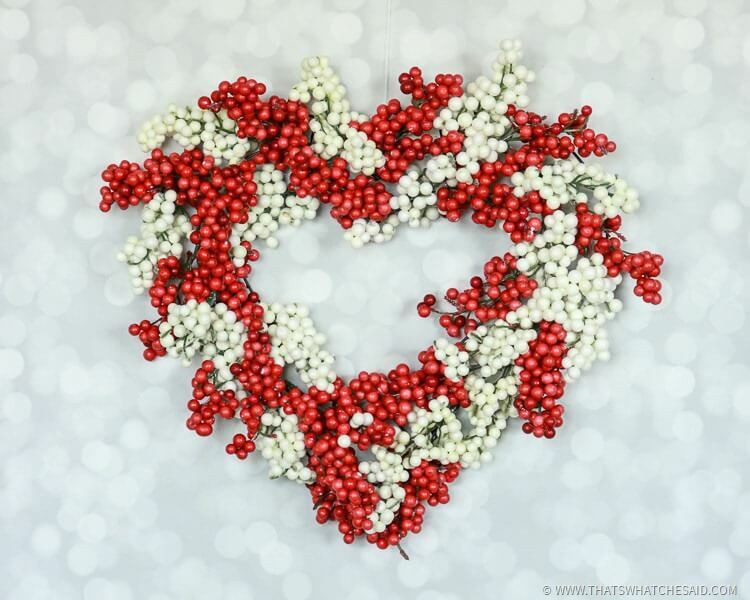 If you have been here reading before or if you are ever on Pinterest you might have seen my Christmas Berry Wreath, New Year Berry Wreath, Spring Berry Wreath or my Valentine’s day Berry Wreath. 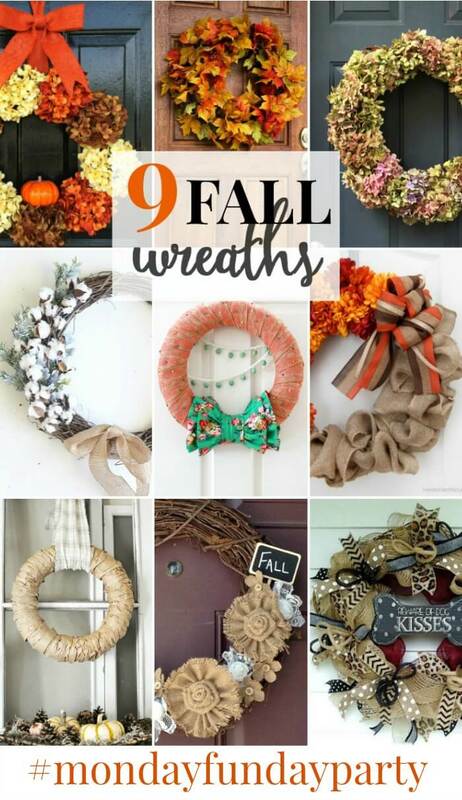 I just adore these wreaths. 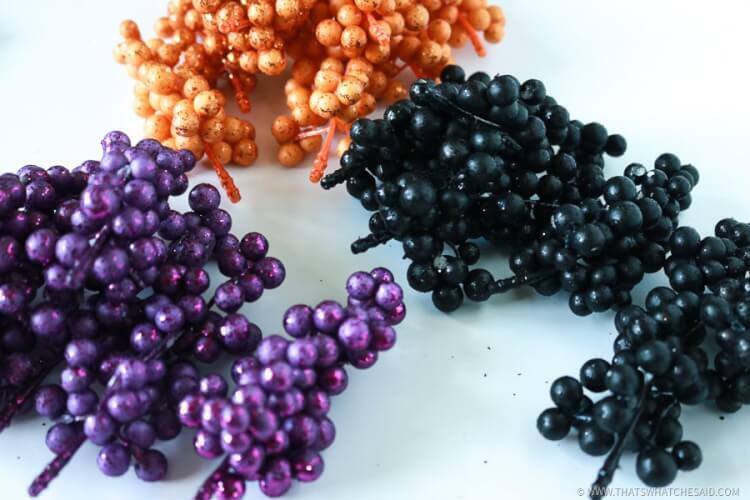 I think that they are elegant and so expensive looking however you all know I am not one to pay full price (or even a lot of money at all) for décor! 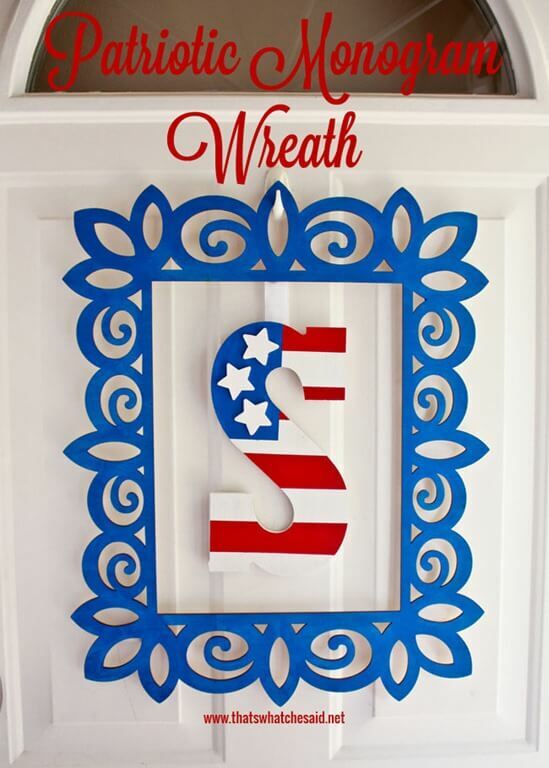 These wreaths get compliments all the time from friends and family who visit and even from my neighbors out walking their dog! 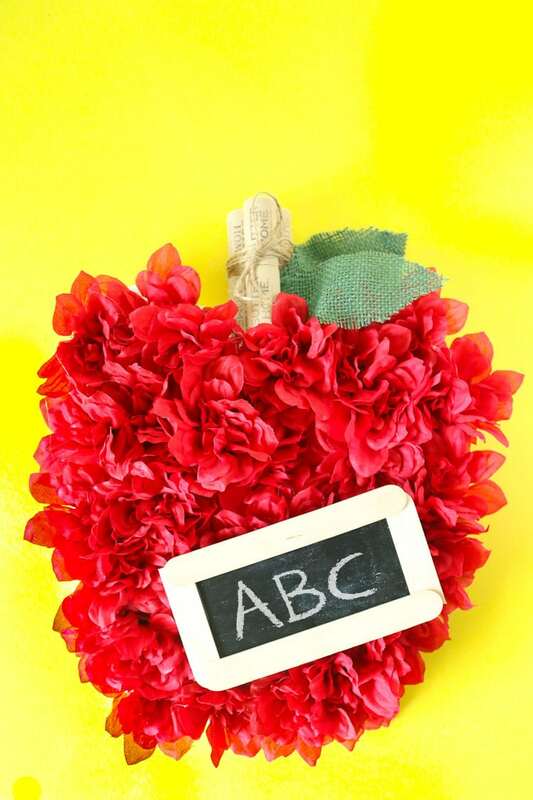 They are so easy to make and I am showing you how! I picked up all my materials (minus my hot glue gun which I already had) at my local Dollar Tree. 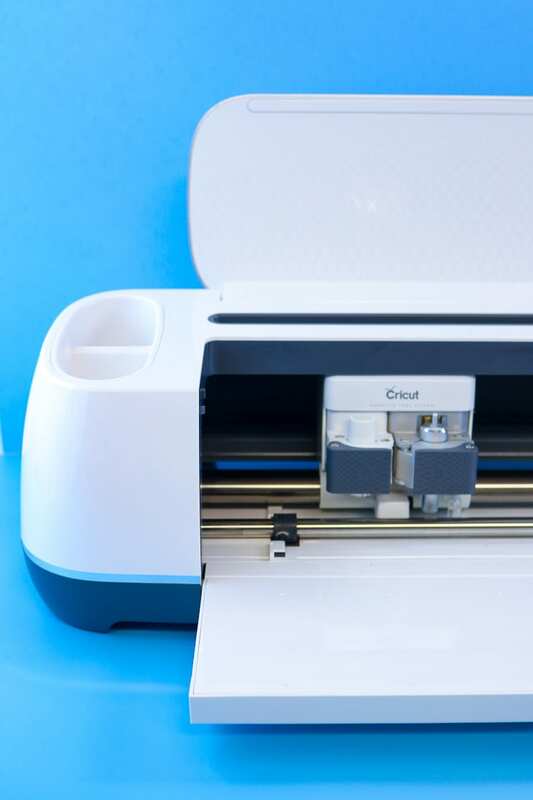 Even the hot glue sticks! Note: I originally started with 6 sprigs of berries because these berries are a bit larger than the previous ones for the Christmas and spring. It looked perfectly fine but I really like mine to be pretty full so I went back and bought 3 more sprigs, one of each color. The berry tops popped off the stems super easy, I didn’t even need the scissors! I started just hot gluing them on to the wreath alternating colors until the entire wreath was covered. 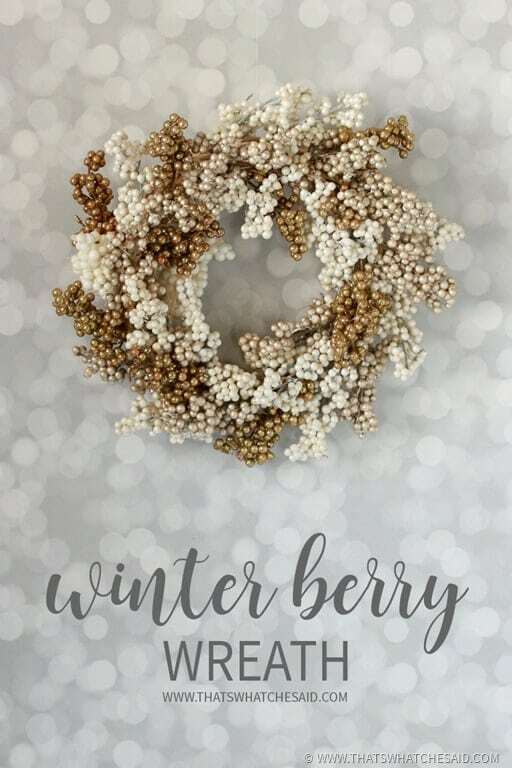 You can even add a few of the leaves from the berry sprigs in the wreath as well! Of course, for Halloween, these leaves were black! 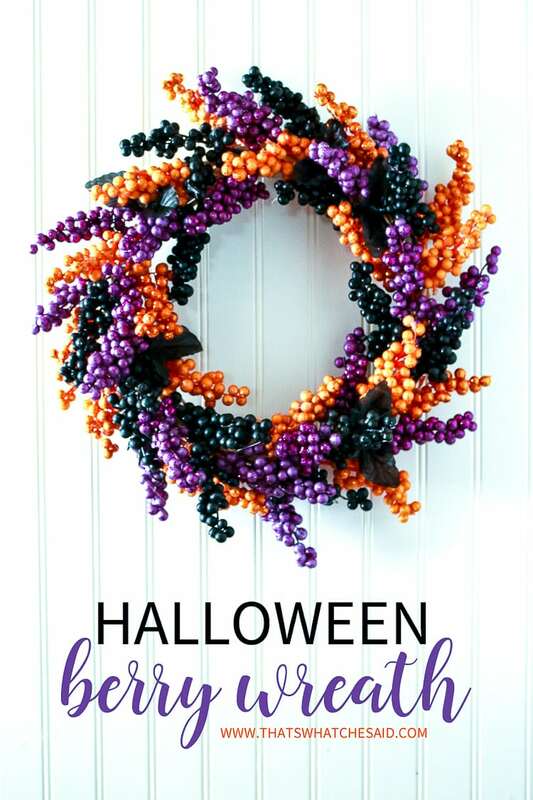 I worked my way around the entire wreath and was then able to hang it on my door to make it perfect for Halloween! 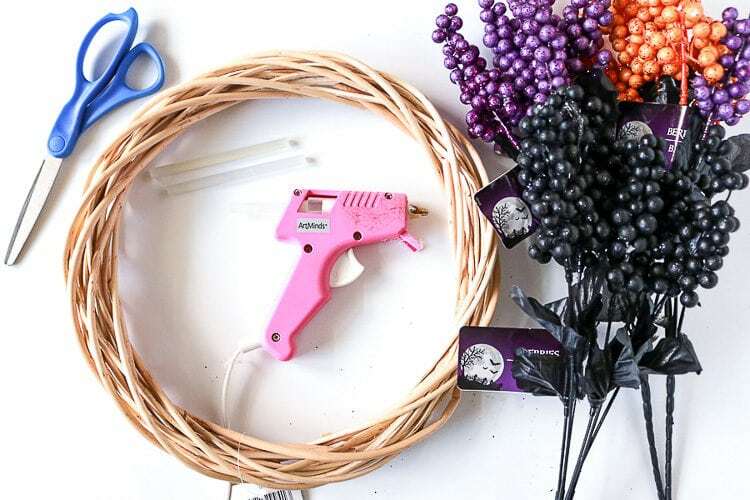 This is your warning: once you make this Berry Halloween Wreath….you will want to make ALL THE BERRY WREATHS! They are so simple and just so pretty! 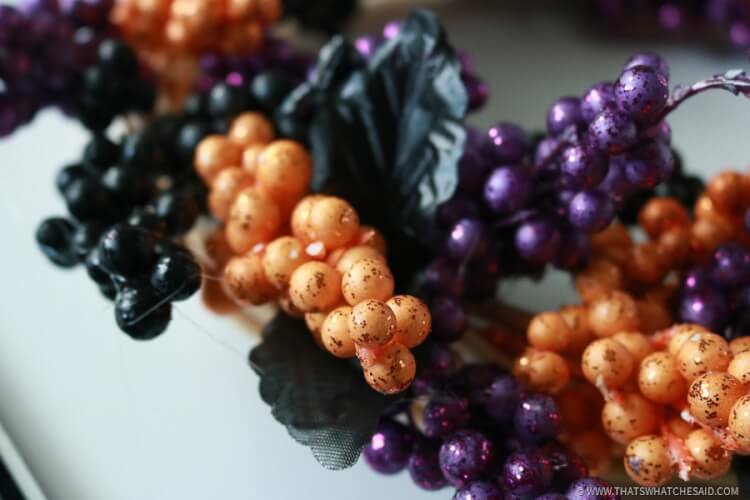 As always you can find more Halloween projects here! As well as all my Wreaths too!